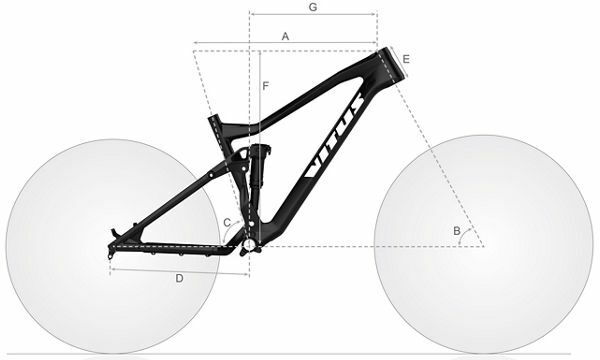 Vitus E-Sommet Electric Mountain Bike (Deore 1x10 - 2019 is rated 5.0 out of 5 by 3. Rated 5 out of 5 by Alfonzo46 from Very well built and designed bike Out of the box the bikes looks and feels amazing. Only carried out a quick test ride but the bike feels solid, smooth and quiet. The motor is awesome. Can’t wait to take it to the trails and give it a proper ride. Glad I read the reviews which all say this is a great bike, so far I believe them. Rated 5 out of 5 by stewpot from Great Value for an E bike Bought with my 12% discount, what can I say, Iove it. I have been mtbing for 30 years on and off and at nearly 71 years old have decided to get a bit of assistance. what a treat, the grin on my face says it all, and at the Wiggle price its a bargain. Hope to be still cycling for a few more years yet. Rated 5 out of 5 by Mazzza from Best bike purchase ever It's a bargain. These parts on this price with spot on geometry and build quality. Even the small details are well thought of. No need to change single part. Even the tubeless valves were included. And the tyres, maxxis DD 3C. Normally you need to throw the default rubber away first thing. But not in this case. Shimano e7000 is the motor to opt for in this price range too. What kind of battery charger is included? This comes supplied with a UK standard charger, a EU adapter will need to be purchased separately. Hope this helps! We can confirm this is around 12-12.5kg and is of an aluminium build We hope this helps! When you ride a city e-bike with SHIMANO STEPS, you can reach up to 100 KM on one full charge. Keep in mind, though, that variables such as terrain (hilly/mountainous) or weather (strong winds) can significantly affect this distance. Also you have to store the bike in a cool, indoor location with stable temperature between approximately 10 to 20&deg;C and please charge battery to around 70% before storing, for the longer lifetime. if the bike motor has a problem , does the bike need to come back to you or can it be repaired at a shimano service centre ?